American merchant; mayor of Cincinnati, Ohio; born at Riverside, Ohio, June 8, 1872. Fleischmann was a member of the staff of Governor McKinley (later President of the United States), and also of the staffs of Governors Bushnell and Nash. In the spring of 1900 Fleischmann was nominated as the candidate of the Republican party for mayor of Cincinnati, and was elected April 2. A unique feature of this election was that the candidates of both of the principal parties were Jews. 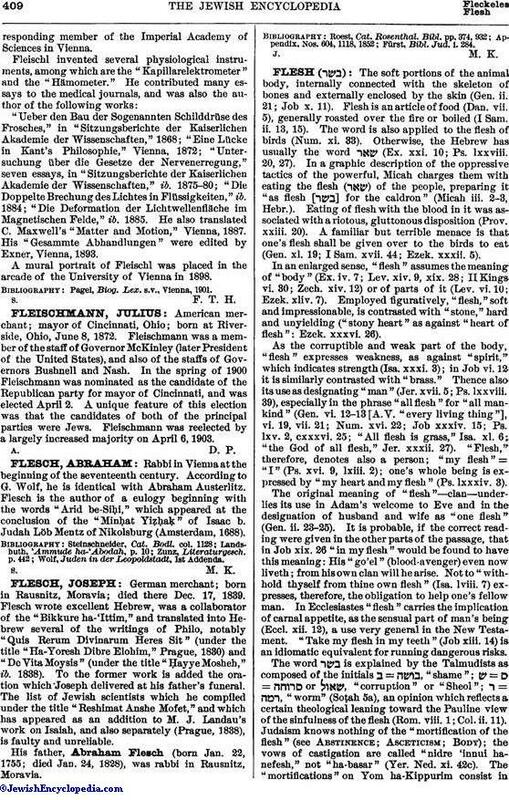 Fleischmann was reelected by a largely increased majority on April 6, 1903.